The cloistered campus of the Southwest School of Art & Craft in downtown San Antonio is a far cry from the raucous, Rabelaisian crowd that attended the Fiesta Oyster Bake on the city's west side. Here, set amidst 1851-era limestone buildings, the flesh is mostly covered, more apt to display Ralph Lauren polo ponies than tattoos. The art on display is highbrow, but the humidity's even higher - it is hot today - so people are lingering in the cool shade of the oak-shaded courtyards where fountains splash, just as the Ursuline nuns must have done when this was their convent 150 years ago. Today's event is the 35th annual art fair, and the artists are of a national caliber – spread out inside the complex in bright tents that display their oil paintings, ceramics and sculpture. The fair's getting crowded. I'm worried someone might elbow a glass vase (the prices here aren't cheap) and be out a few grand. No one cares. The 12,000 or so participants are all too busy gabbing with friends, sipping drinks and tapping their feet to the music of the Sisters Morales, a pair of soulful singer-songwriters up on a stage between a pair of French-colonial-styled buildings. The folkies are pumping out a catchy Spanish ballad that the crowd adores. "They say Austin's got the 'cool'," someone says, "but San Antonio's got the soul." And, it seems, few travelers know about it. Fiesta is a big deal in the city, of course, and throughout Texas, but it is nowhere near as popular – nor as overrun – as Mardis Gras. It's local, it's neighborhood and it's authentic. Contributing editor Andrew Nelson is in San Antonio this week celebrating Fiesta, and he'll be sending us dispatches from the road all this week. 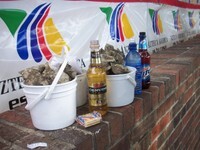 How hard is it to eat a Texas-sized bucket of baked oysters? Really hard, I'm discovering. Each mollusk is the size of your fist, shut tighter than Area 51, they mock my feeble efforts to pry them apart. I'm at the 92nd annual Oyster Bake, one of the kick-off events Fiesta San Antonio, a ten-day-long party that is to the Texas city what Mardis Gras is to New Orleans: colorful parades and raucous revelry marked by too much food, too much drink and way, way too much fun. Around me swirl many of the 70,000 people who will pour into the campus of St. Mary's University on the city's west side, home of one of the USA's oldest and proudest Mexican communities. Tonight San Antonians of all backgrounds are going to drink, dance, listen to Tejano and rock and roll, and wolf down entire beds of shellfish. This is their party, and San Antonio, unlike Louisiana's Crescent City, appears to have kept the fun to themselves. Few travelers outside of Texas it seems have heard of Fiesta. But while it's on, America's seventh largest city can think of little else. 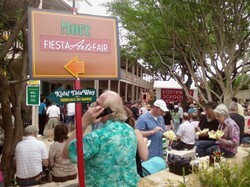 Fiesta San Antonio began in 1891 as a way to honor the battles of the Alamo and San Jacinto. It's evolved into 100 different events, which include over-the-top balls held by San Antonio's Old School Old Money elites, spectacular parades and satirical mockery of pretense in a counter-cultural Fiesta Cornyation. Here's a guide to the whole shebang. In 1924, the AASHO (American Association of State Highway Officials) and the Department of Agriculture’s Bureau of Public Roads began to lay out the proposed routes of Interstate Highway System. Since that time, Americans have driven across the country for pleasure and for business, with family, friends, or solo. I remember the itch I felt in the seat of my pants reading about Sal Paradise speeding through the middle of the country headed to the promised land of California in Jack Kerouac’s On the Road. America is made for road tripping. The excitement of the road comes partially from the air rushing past the window as you fly down the asphalt and it comes partially from pulling out a large map of the country, taking a marker and drawing the first lines of what could be your future path. The United States, with our vascular structure of easily accessible roads, lends itself to an infinite number of routes for a cross-country trip. What it does not give is one convenient path to hit all of the lower 48 states. Nevada is the first state of many that we will explore that does not fit cleanly into an itinerary. It is one of many landlocked states that does not border an ocean or another country and requires a bit of zigzagging to reach. 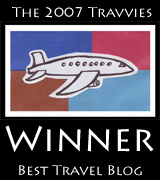 The question for you when planning your trip becomes – when do I zig and when do I zag? Photographer: Mary Hockenbery, Dixon, New Mexico. Getting the Shot: We were road tripping last summer and decided to stay the night in Baker, Nevada and tour Lehman Caves, then visit Great Basin National Park in the morning. 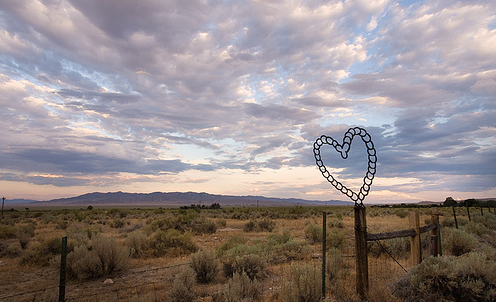 After we got to the motel and checked out the visitor center, we took a little drive around the area and spotted this wonderful horseshoe heart on a rancher's fence. The Details: I love my Nikon D200. I shot B&W film and had a darkroom for years - but now it's pretty much digital all the way. IT loves our readers and sends them this heart for Valentine's Day! Love photography and want your own shot in Global Eye? Add your pics to our Flickr pool. 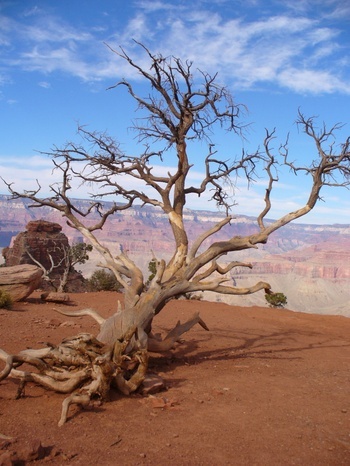 John Ur makes a pitstop on his Cinematic Road Trip to give us a taste of Arizona. Back when I was just a wee lad, my mental map of Arizona included nothing but orange sand. I couldn’t imagine how anyone could live there. To me, any desert must be like the Sahara I’d seen on TV. 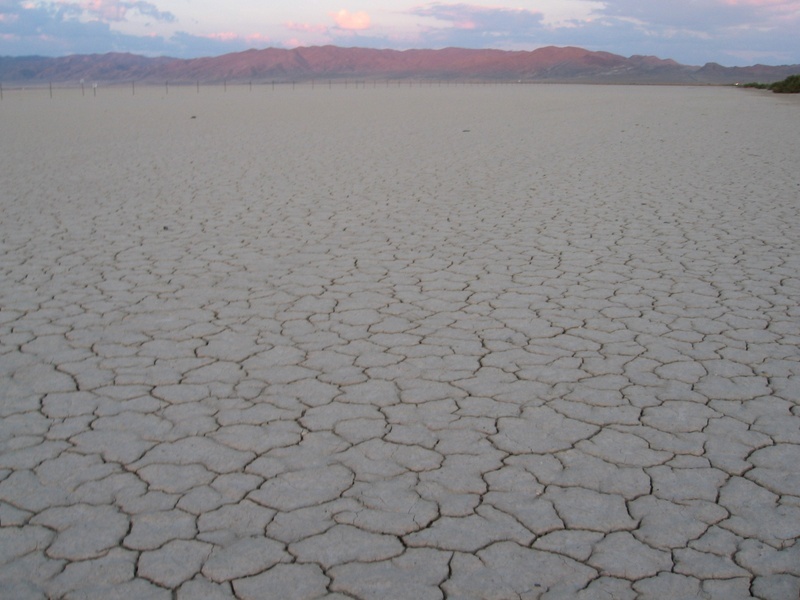 I had no perception that different types of deserts could exist in different climates. Fast forward some twenty years and my perception of Arizona hadn’t much changed. I expected to see a flat, dry and sandy land sprinkled with a town here and there. Much to my pleasant surprise, Arizona is much more diverse in landscape than I pictured. True, in the south, the land is largely dominated by saguaro cacti and the rugged landscape of the Chihuahuan Desert (as can also be seen in southern New Mexico and West Texas), but as you move north from Phoenix toward Sedona and Flagstaff, the elevation gains about 5,000 - 7,000 feet, with Humphreys Peak topping the state at 12,633 feet above sea level. Heading north through the state, you will see the landscape shift from the flat desert land in the south to the wonderful red rocks of the central region. Sedona boasts an impressive amount of rock formations, each with their own particular name (based roughly on their shape: Coffee Pot, Bell, Cathedral Rock, etc.). Flagstaff and areas further north are surprisingly green and maintain a moderate climate throughout most of the year due to their elevation. 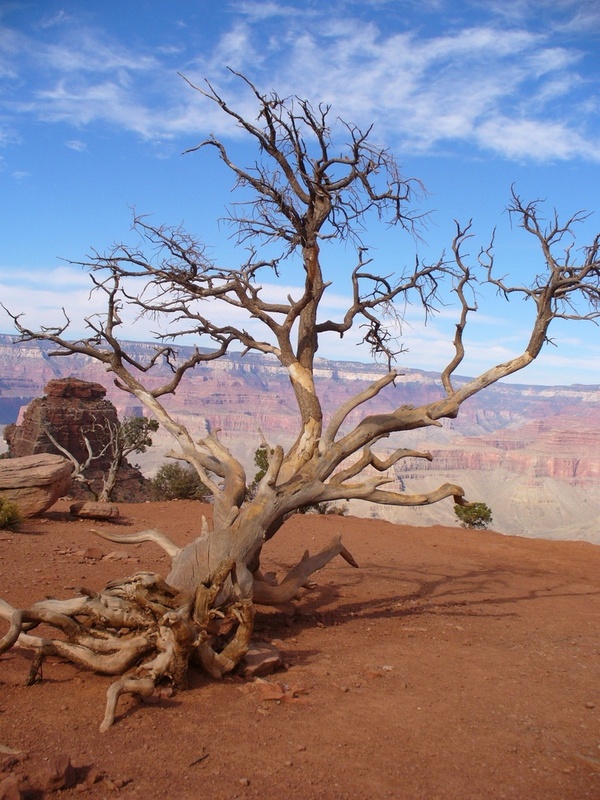 And then, of course, there is the Grand Canyon, which sits in the middle of an enormous canyon country that stretches north into Utah and Colorado and south into Mexico’s famed Copper Canyon. Did you know you could ski in Arizona? Me neither. John Ur is back this week with the latest edition of his new column about films that capture the 50 states. 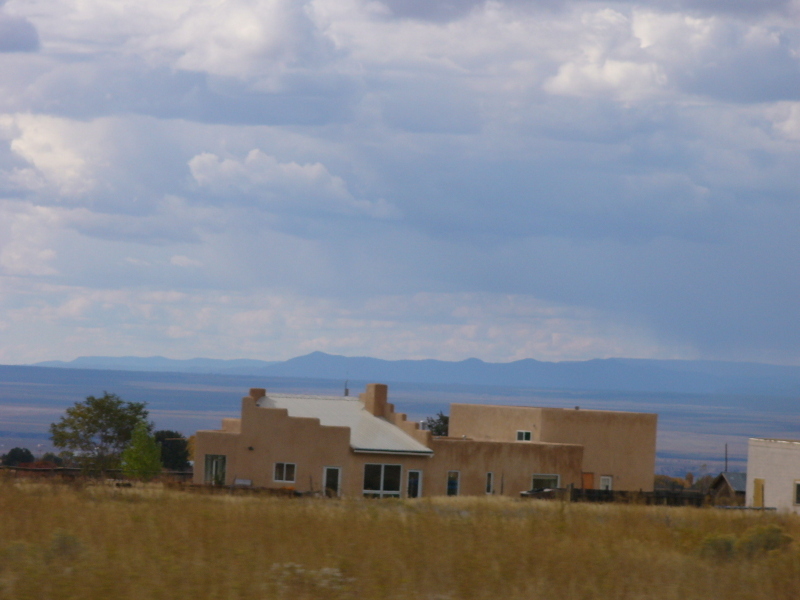 New Mexico is like a dream to me. Adobe houses with curved corners seem to climb out of the mud like giant ant hills. The Native Americans and Latin American immigrants who populate much of the state seem an extension of the earth and trees. Dry, red rocks that litter the landscape in the northwest, abandoned ruins of ancient American pueblos in Bandelier National Monument that are just an hour from Santa Fe, and the blanket of gypsum at White Sands National Monument all help to create the psychedelic landscape you'll find throughout the state. It’s no wonder Roswell is famous for UFO sightings. The residents were probably just dizzy from all the gorgeous abnormalities of the far-reaching horizons. Welcome to Intelligent Travel's latest column, written by John Ur, which will map out some of the best movie sites across the 50 states. Every week, we’ll look at a state (or portion of a large state) and find the best landscape cinema for you to experience before embarking on a trip of your own. West Texas stretches on for miles and miles...and miles. 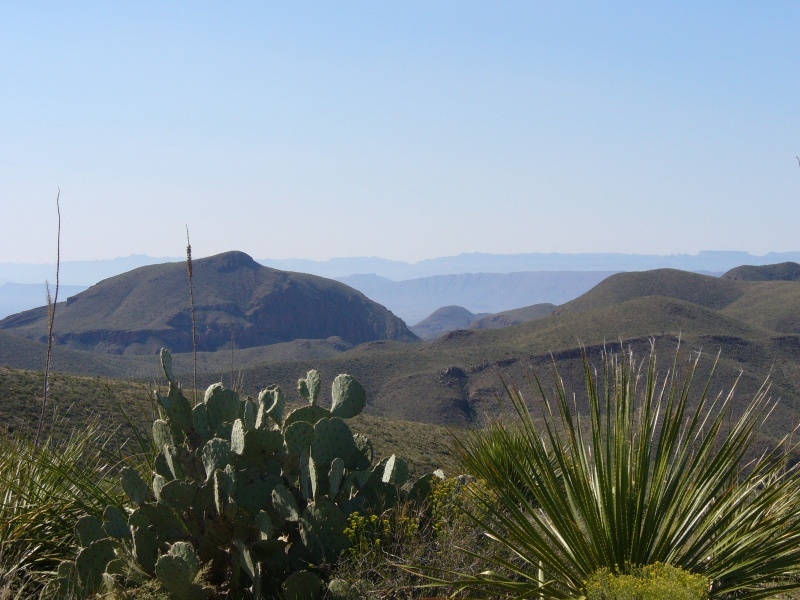 Driving from El Paso southeast towards Big Bend National Park, I imagined at least 15 different pastimes I would enjoy more than driving through western Texas. The most drastic visual picture on that landscape was the gas station where we stopped in Alpine. Beyond the asphalt lies plains and rolling hills, and more plains and more rolling hills. To understand the vastness of Texas, you must realize that is the largest state in the lower 48, about 100,000 square miles larger than California. For an East Coast boy raised in New Jersey, a state about 1/30th the size of Texas, the idea that I would drive for 6, 8, 10, 12 hours and not pass through at least four other states was daunting. Even more daunting would be to try to identify the landscape and feel of the entire state in one post. For this reason, I’ll just focus on West Texas here. More specifically, Big Bend Country. Recently, there were two films based in West Texas that I believe hit the nail on the deserted region’s head. The Coen brothers' current masterpiece, No Country for Old Men, though gripping and gruesome in its drama, opens with some of the best lonesome shots of this area that is largely dominated by the Chihuahuan Desert. The hills in the opening sequence are poked with cacti and low-growing shrubs. The sun, unfiltered by trees or clouds, batters the dry soil and any who dare to roam below. 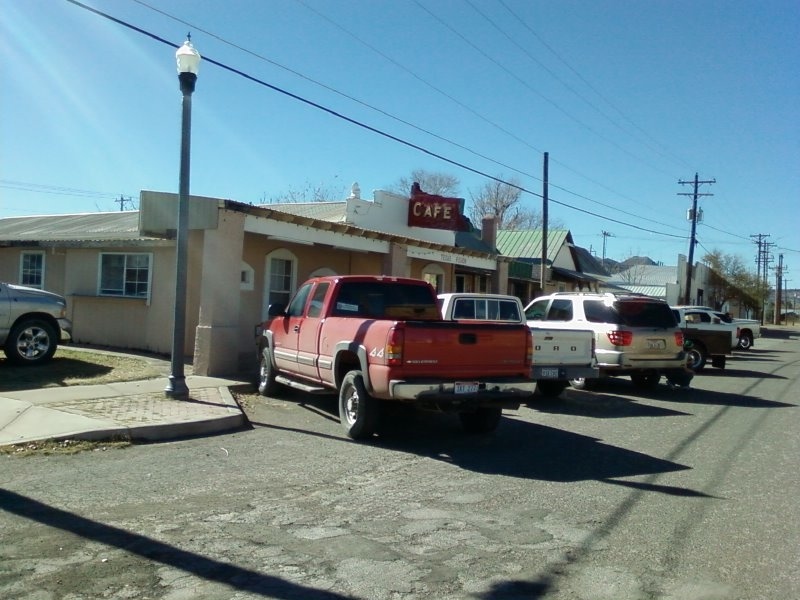 According to a recent interview with the Coen brothers, the only Texas locations were shot around Marfa. The rest of the film was shot in Las Vegas (New Mexico) and Mexico. Paul Thomas Anderson's recently released period epic, There Will Be Blood, was also shot around Marfa. We'd never heard of it until today, but American Style, "the premier arts lifestyle magazine for art lovers, collectors and travelers," has a lot of nifty content for the discerning wanderer. Each issue lists hundreds of arts festivals, gallery openings and museum events nationwide. Scottsdale Arts Festival (Scottsdale, Arizona, March) The civic center in Oldtown Scottsdale comes alive with the wares of 200 artists and live music and roaming performers. Long’s Park Art & Craft Festival (Lancaster, Pennsylvania, May) Each Labor D ay weekend, this 70-acre park is filled with hundreds of artists from around the country. Enjoy live performances and local wine and craft beer tastings. Francisco's Farm Arts Festival at Midway College (Midway, Kentucky, June) Head over to the Kentucky Music Stage to hear some bluegrass before shopping for handcrafted items on the rolling campus of the state's only women's college, situated on a 205-acre working farm. Des Moines Arts Festival (Des Moines, Iowa, June) Our Des Moines denizen Katie Knorovsky noted in recent (and much commented on) post: "Downtown transforms into an incredible outdoor art gallery" for this three-day party with multiple performance stages, food vendors, and more than 100 visual artists competing for a juried prize. Bi-annual Craft Fair of the Southern Highlands (Asheville, North Carolina, July & October) Folks have been attending this southern craft fair for more than 60 years. Over 200 guild members display and demonstrate their crafts, much of it traditional to the Appalachian highlands. Baltimore-based American Style also releases an annual list of the Top 25 Arts Destinations. You can cast vote for your favorite fine arts city here. IT is glad we've found a magazine that lets us support the arts, shop, and travel all the same time! For more markets and fairs, check out Traveler's list of Worldwide Markets, part of our online Authentic Shopping Guide. Traveler Contributing Editor Andrew Nelson is home in Texas for the holidays, and offers up a round of new restaurants for those of you planning to visit the area (or him) this season. In the Big Bend of Texas winter clarifies the night sky, turning the stars to blazing diamonds. To keep warm, residents gather around fire pits filled with mesquite logs, exchanging shots of fiery sotol and gossip. This December the sotol's as potent as always, but the talk is about two just-released movies filmed here. "No Country For Old Men" and "There Will Be Blood" use the romantic, empty land as both character and canvas. Travelers wandering the region will find spiritual nourishment in the region's beauty. But physical nourishment is also needed. Luckily the region is welcoming three new additions. South of the Union Pacific railroad tracks on Murphy Street in Alpine's historic adobe neighborhood is Texas Fusion BBQ (200 W. Murphy St.; +1 432 837 1214). A classic barbecue joint run by Mark Scott, the Fusion's surrounded by parking spaces wide enough for your Ford F350 (a popular pick up). Diners can sit down or take out mounds of smoky pulled pork heaped on bbq sandwiches. And don't forget the sweet tea. Many locals agree with longtime rancher Ted Gray. "That boy's got the best food in town," says the respected 84-year-old. In all honesty, more often than not it’s the trivial details that impress us most here at IT. 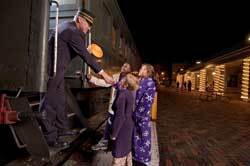 So when we heard about the Grand Canyon Railway’s giddiness-inducing plan to host a pajama-wearing, hot-cocoa-drinking trip with its Polar Express train rides, it was almost more than our inner kids could handle. Based on the popular holiday book by Chris Van Allsburg, the Polar Express evening train rides depart from Williams, Arizona, en route to “North Pole City." As the train journeys through the wilderness landscape, pj-clad children snack on cookies and cocoa while listening to a storyteller read the classic tale. And to top off the wholesome good time, once the group arrives at the Grand Canyon, Santa boards to deliver a token gift to each child. You can find Polar Express-themed train rides around the country, and let us know in the comments section if you know of any more worth mentioning.